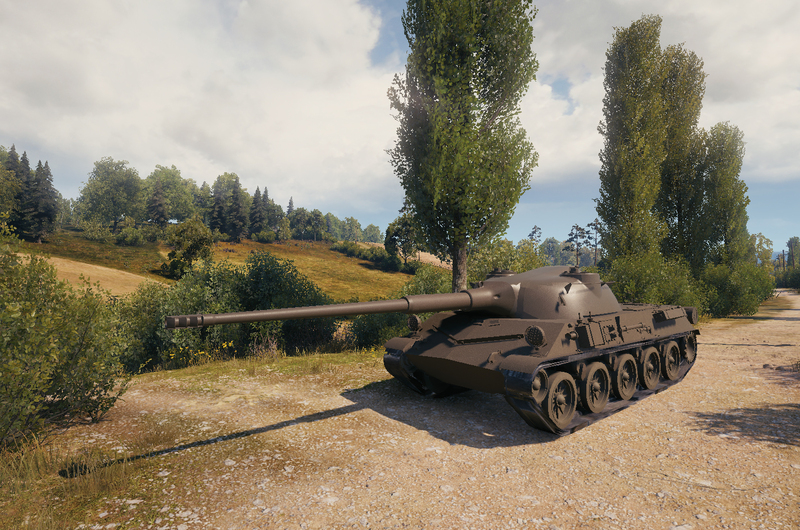 World of Tanks is getting a brand new Czechoslovakian tank: TVP T 27. 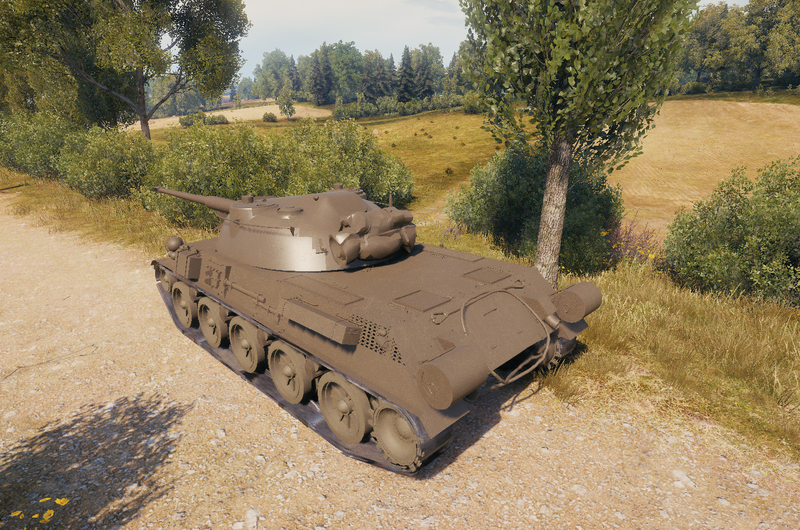 This tank will be the first ever Premium Tier VIII medium tank for the Czechoslovakian tech tree, something players have been long asking for. A medium tank sporting an autoloader system, it will fit right into the Czechoslovakian tanks play style. Gameplay-wise, it’s much like the top-tier progression vehicles of the same nation. The crew composition is also the same as the top-tier one, making it a good crew trainer. The autoloader drum of the TVP T 27 holds three rounds and takes 20 seconds to fully reload. The time between shots is 1.8 seconds. The tank is armed with an 88-mm gun which deals 240 points of alpha damage and is most effective at close and mid-range. Its aiming time is 1.9 seconds, and the dispersion is 0.38 m at a range of 100 meters. Among the other strengths of this tank are its gun depression and mobility. Its vulnerabilities come with its relatively large size and rather lack of protection. 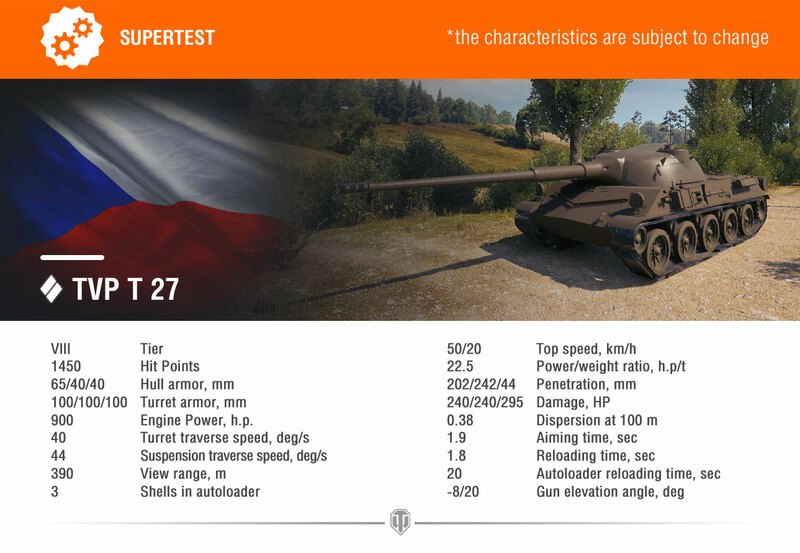 The TVP T 27 will be far more superior to the regular TVP VTU, but it will be a better fit to the Czechoslovakian play-style. Hopefully, we will see a rebalance to the regular tank too, as it’s rather lacking at the moment and considered by many one of the worse Tier VIII in the game, if not the worse. Are you excited to see this vehicle coming to the game? Let us know in the comment section. I dunno….T-34-2 is pretty lackluster no matter how you slice it. T-34-1 also…….. If anything, this should should become the tech tree tier 8 and the VTU should turn into the premium. It would be much more balanced that way. But… when has Wargaming ever cared about balance? Indeed, VTU is absolute garbage and a free-XP sink while the premium will be rather competitive, standard WG balancing last couple of years it seems. We won’t know the first two until ground resistances and dispersion stats are published. I think I prefer the spag for the reloading; no difficult decisions about whether to manually reload or not when 1 or 2 shells left. Progetto 46 has -9 degree of gun depression. Both tanks have 390 base vr. I actually think this is the missing link in the CZ tech tree. 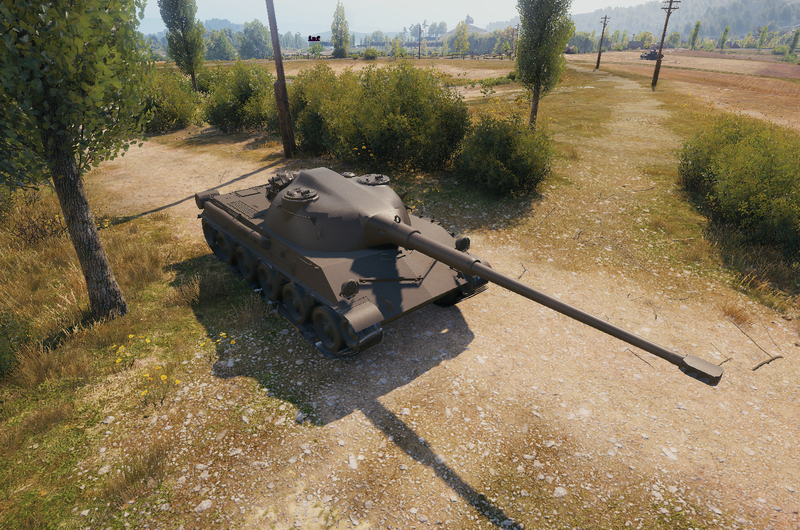 IMO the T24/100 doesnt fit at all in the tech tree. I rather see the TVP VTU move down a tier to tier 7 and the TVP T27 fill the gap at tier 8. Previous Entry World of Tanks (EU): Free Tier VIII Premium Tanks?